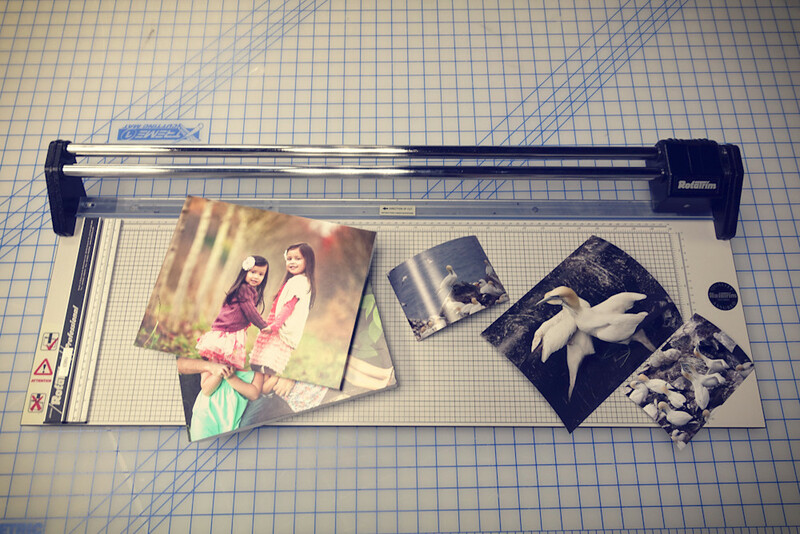 Our Metallcihrome™ metal prints are the hottest trend in the photography / printing world. The sheets of aluminum have a thin layer of white or clear polyester coating on them - which, when added with some heat, pressure, your image and some science, creates a beautiful, vibrant quality that's ready to hang in any gallery or wall. We are one of the only labs in the US to use a 9 color printer to print our sublimation paper. Most companies are using 4 colors. If you want your image to truly pop and shine, Metallichrome™ is the way to go. Interested in some more traditional prints? Our premium photographic paper is exactly what you're looking for! Either Finished with our Hahnemühle Varnish or face laminated and mounted on styrene, frame ready;(no glass required) our papers are top of the line Lexjet Sunset series or Hahnemühle in gloss, matte or metallic. Just like all of our products, we can print any size at any time and love taking special requests! One of the most dimensionally stable wood materials, our Baltic Birch comes to us in 5'x5' foot sheets before we hand cut each piece individually. 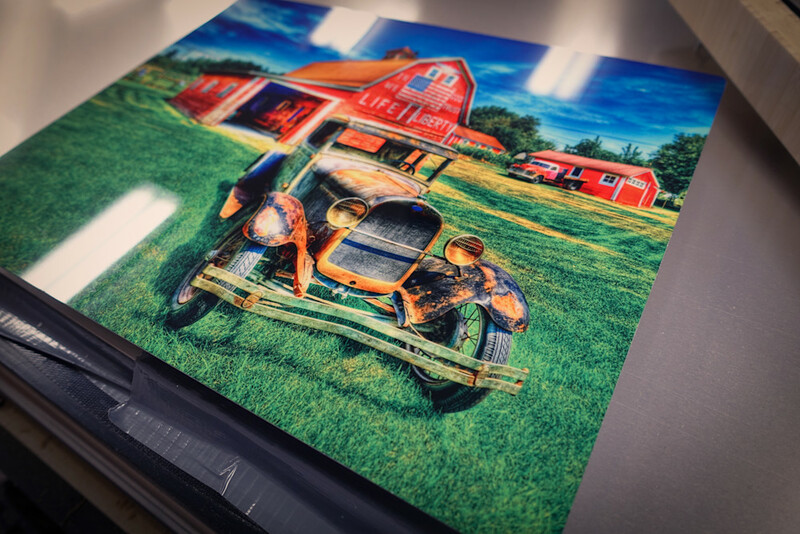 Using some heat and pressure, our dye-sublimation process tattoos your art into the material - creating a truly amazing looking piece that will be enjoyed for years and years (and years). 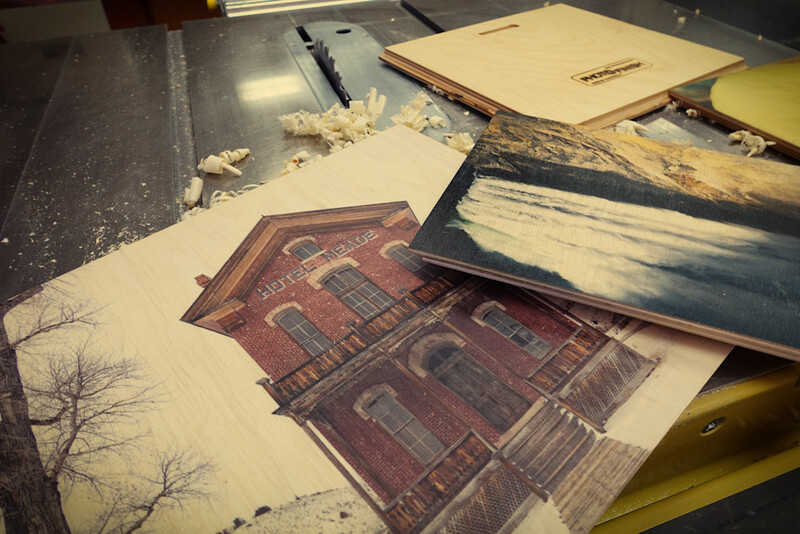 We use a custom converted 9 color printer to produce your image. Most of the industry uses only 4 colors. 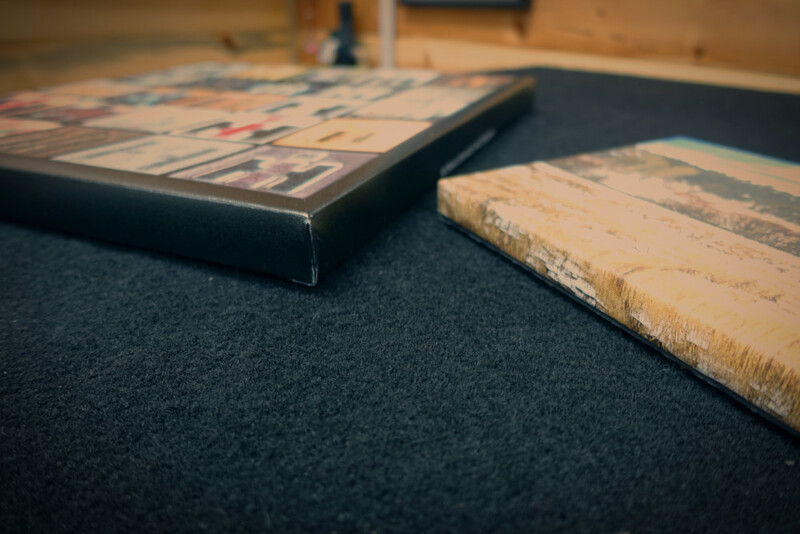 Each finished product comes with a keyhole hanger, which means it's ready to hang as soon as it reaches you. Gone are the days of stretched canvas. Our process bonds the canvas to a tempered hardboard. This process eliminates prints from sagging, twisting and bending. Our surface coating is second to none. It is a proprietary finish that was 15 years in the making.